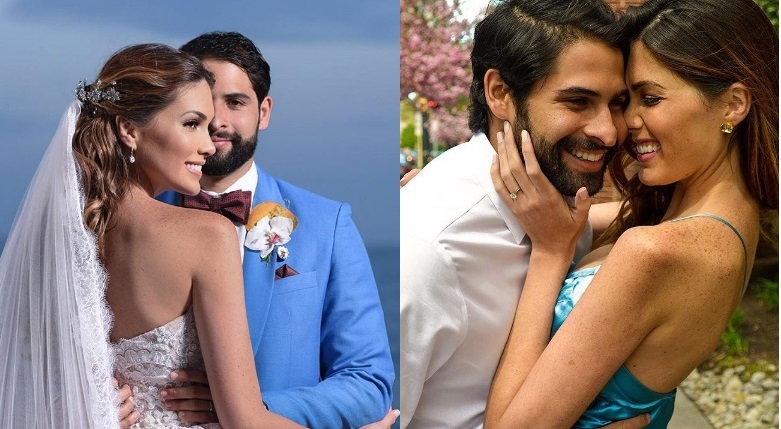 Gabriela Isler has confirmed she's married her long-time boyfriend Alberto D. Figueroa Taylor. The Miss Universe 2013 from Venezuela posted a photo via Instagram to confirm the news and captioned "We got married". We got married! 👰🏻🤵🏻 Sí, nos casamos ❤️ Y @albertoadft dice: ¡Lo logré! ☺️ ¡Agradecidos y felices de estar junto a nuestras familias celebrando nuestra unión! The couple has collaborated with Venezuela's Hola Magazine to give her fans with details and coverage about the weddings. Maria Gabriela is the seventh Miss Universe from Venezuela and the third Miss Universe from Venezuela in six years. Gabriela is currently the Founder and CEO of the Universe of Blessings Fund, an organization devoted to the empowerment of young women and girls by providing critical life-skills and personal development counseling. Congratulations Gabriela and Alberto!